VRP $485K-$525K. Amazing setting w/WOW views & private trails! Bring your horse & chickens, zoned A1! Sun Prairie address, yet low T Bristol taxes! 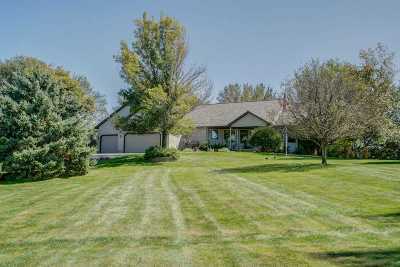 Large charming ranch w/ full front porch on 5 acre piece of heaven! 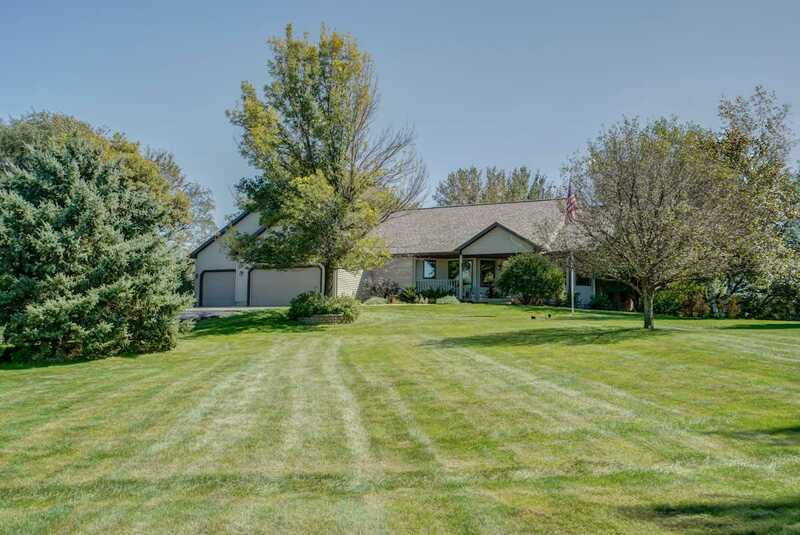 Sun-filled walkout lower level brings to nearly 4, 000 sq ft! Dbl closets & sinks in huge master bed! Fun built-in Murphy Bed in LL office. Gleaming real wood floors, solid doors, 3 car garage w/stairs to basement, PLUS detached 1 car garage! Quiet rural neighborhood 15 minutes to Madison. Fenced yard & invisible fencing. Hot tub, swimming pool, and a half court Basketball court!